Brent has 35 years of experience as a lawyer and adjudicator in the province of British Columbia. 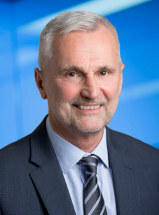 Brent served for 16 years as Chair of the Labour Relations Board of BC, the province's leading administrative tribunal, and a previous 6 years as a Vice-Chair at the Board. During his tenure, Brent issued over 900 written decisions and adjudicated many of the Board's leading cases. Brent developed strong leadership skills and management expertise as Chair, overseeing a budget of $5 million and leading an organization of 44 employees. Brent also has 14 years of experience in the private practice of law as a partner and associate at a national law firm in Vancouver. In private practice Brent has represented clients in mining, forestry, construction and municipal government in grievance arbitrations and applications before administrative tribunals and all levels of court in BC. He has also provided strategic advice on collective bargaining and the labour relations aspects of corporate structuring and commercial transactions. Brent's primary focus during his tenure as Chair of the Labour Relations Board was to ensure the timely and pragmatic resolution of disputes under the Labour Relations Code. He now applies that approach to the practice of law where he seeks to provide his clients with the highest level of expertise and professionalism to achieve practical, prompt and cost-effective results. Brent has been a volunteer coach of youth basketball in Vancouver since 2008. Brent founded Raindogs Basketball in 2011 and coached teams in various club leagues under that banner. He has also coached in the public school system with teams at Lord Byng Secondary School and Queen Elizabeth Elementary School in Vancouver.